Tubbygaijin.com » 1/1 Gundam Returns this July, now with 100% more Beam Saber! Well if I ever needed a reason to start scrimping and saving every penny I have, there it is. 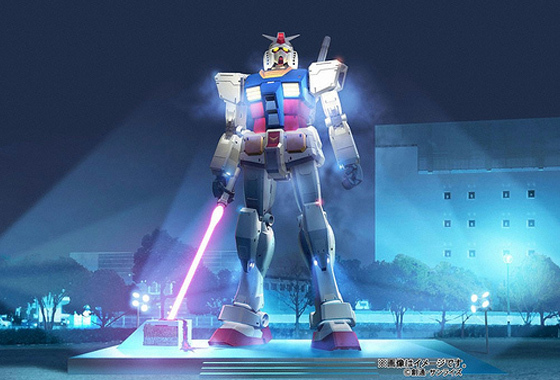 The 1/1 RX-78 Gundam displayed previously in Shiokaze Park is on the way back with a new addition! This time touching down at JR Higashi-Shizuoka Station, the ‘Real Grade’ unit sports a funky new beam saber(which will look awesome at night!) and will be on display from July 24th – January 10th, 2011. Gion Matsuri, Yoiyoiyoiyama - 3 days to the parade! 2 Responses to 1/1 Gundam Returns this July, now with 100% more Beam Saber! This 1/1 is so cool. I ordered the RG RX-78 1/144 off of the back of seeing this life-size version. Can’t wait.